Californian is an awesome state with so many things to offer. You will learn about cool facts. the many resources it has.It has cool land form. California has many land forms such as Redwood Forest and Death Valley. 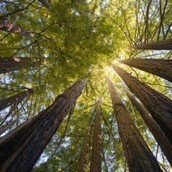 the tallest trees grow in Redwood. red woods grow up to 300ft tall. Death valley has the lowest point in the nation. that is just 2 of Californias landforms. California has many state facts one is that is that the state tree is the California Redwood. next is the California Grizzly bear. That is just two of the many state facts. one of the most heveley guarded prison in the world. the oldest and tallest trees grows hear. 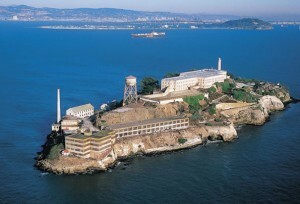 California has a few cool places to visit Alcatraz island is in San Francisco. Workers built Alcatraz in 1859 to 1963. when it closed they named it the rock. Workers built it on a rocky area. that is one of the golden states land forms. Redwood national park is near Crescent city. The park opend in 1965. the tallest tree in the world is 385 feet tall people can swim,fish,camp,have a picnic ant you can have a nice view. that is one more of the golden states cool places to visit. California summers are almost without rain. exept the occasional thunder storm. California is an ANCREDAMAZING place to vised. have told you about about the many resources. Some cool land forms and fun facts. and the interesting climate. I hope you will visit California some day.